Which materials will you be laser marking? Material not listed? Call 303.664-9000 to discuss the best laser marking system. Direct material laser marking (laser engraving, etching, engraving, annealing etc., ) is a fast and effective way to permanently mark parts and materials. A laser beam interacts with the material to create lines, numbers, a logo or any desired mark for easy tracking, control and tracing. From jewelry, surgical parts and industrial parts, to dog tags, awards and guns, our laser marking systems are used in a number of industries. All of our laser marking systems are designed, manufactured and supported in the USA with performance, affordability and longevity in mind. Our local, in-house software development team provides clear and actionable answers and support whenever you need it and our fully-staffed customer service department is ready to assist with anything else you may need. Installation and training are available for every laser system. 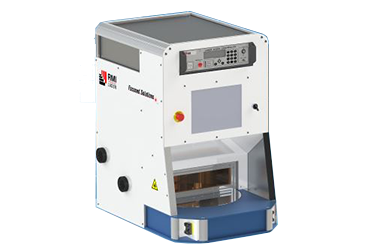 Our laser safety enclosures (laser workstations) are designed to uphold optimal standards in operational protection. Our marking lasers are installed worldwide for stainless steel marking and steel engraving and for laser marking other metals as well as, ceramic, rubber and plastic surfaces. We offer free sample laser marking services so you can be sure acceptable laser markings are achievable. RMI Laser offers affordable, precision Laser Marking Systems for stainless steel marking, steel engraving and marking on a variety of additional materials as well. 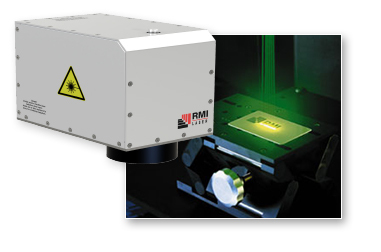 RMI Laser Marking Systems come in a range of wattages, wavelengths, and technologies to ensure we have the right fiber or specialty marking laser for your application. 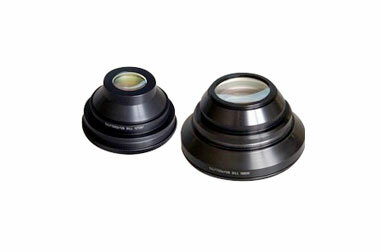 The most commonly used equipment with Laser Marking Systems is a Class 1 Workstation. These “light-tight” laser safety enclosures encapsulate the laser’s radiation to eliminate any ocular hazard so the marking system can operate in any location on your manufacturing floor. 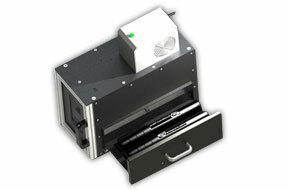 Expand your marking capabilities by adding accessories to your Laser Marking System. RMI Laser offers plug and play accessories for our workstations and systems to ensure the laser marker is an integral part of your workflow. We don't have a one size fits all approach to your business. Our experienced engineers, technicians, and staff carefully can analyze our customer's needs and applications and find the best laser solution - utilizing custom designs and engineering. Sign up to receive our newsletter, specials and other updates.